HomeQuack TreatmentshomeopathySociety of Homeopaths ‘Taking Legal Advice’ to Fight the ASA. In September, the UK’s Advertising Standards Authority wrote to all homeopaths informing them that it would be taking action against homeopaths that did not comply with the rules for making claims in advertising. It has taken the ASA many years to get to this position after trying to work with homeopaths and their trade bodies to ensure they cleaned up their act. The Nightingale Collaboration has been campaigning hard and working with the ASA to ensure the alternative health sector of the advertising world complies with the rules. Homeopaths have, of course, taken umbrage. Homeopaths want to be free to make any wild claim they dream up from their fantasy world of health where sugar pills cure serious illnesses. 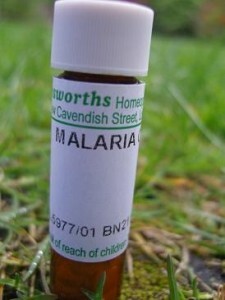 In many ways, homeopaths should not find an issue with this. The Society of Homeopaths Code of Ethics is quite clear that homeopaths should respect advertising laws as managed by the ASA. However, this blog has long maintained that mere lip service is played to the Advertising Code and the their Code of Ethics is a fig leaf to hide their extreme anti-science views. The ASA for their part, make it clear that they do not want homeopaths to stop practicing. Instead, they simply want compliance with a code that all other industries are happy with. We have no intention of restricting the ability of practitioners to advertise legitimate and legal services, nor do we seek to restrict the right of individuals to choose treatment. However, when advertisers make claims about products or services, whatever the sector, they must hold appropriate evidence to back up those claims. If they do not, then we have a responsibility to intervene to protect consumers by ensuring that those ads are amended or withdrawn. To date, the Society of Homeopaths have simply issued a press release to their members saying they are ‘here to help’ them comply and have issued guidance on how to keep within the law. On the face of it, if their members complied with the Society’s guidelines then there would be little trouble for anyone. The Society give pretty sensible advice on keeping out of trouble! However, this time it looks as if the Society of Homeopath’s members are not happy with this approach and appear to have bounced the leadership into more confrontational action. It looks as if some rogue members have formed their own action group, in spite of their leadership, to take the fight to the ASA, and are campaigning amongst the membership to fight the guidelines. So, today, the Society of Homeopaths have issued a new press release saying they are taking legal advice on the status of the ASA. Meanwhile, 6 RSHoms have written to all Society members asking them to join in a protest about the Advertising Standards Authority (ASA). Before we move on to the funnier bits of the story, let’s get this legal thing out of the way. The ASA was set up as a marketing industry body to provide a simple way of policing advertising standards that prevented advertisers being exposed to the risks and costs of the courts. The idea is simple: if the industry maintains its own standards, then advertisers have a straightforward way of seeking help on how to comply with the law and a method of settling complaints that does not result in someone going to prison or getting a big fine. 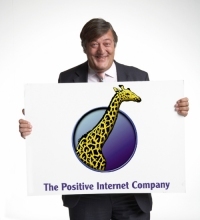 All reasonable advertisers recognise this and there is much respect for the body that allows a creative and successful advertising industry to thrive without being fearful of legal red-tape. It does not mean that the legal sanctions do not still exist. It means that the enforcers of consumer law recognise that the ASA can give advertisers the best chance to comply before they need to get heavy handed. If the ASA, in conjunction with the advertiser, fail to create solutions to a bad advert then the legal sanctions can kick in. Homeopaths spectacularly fail to understand this and want to question the ‘legal credentials’ of the ASA. The ASA should be their friend in helping them stay legal, decent and honest. Their enemy, of course, is reality. Homeopaths want to claim things that are not true and that they do not have robust evidence for. But instead of embracing science and working in the best interests of their customers, they want to defend their spectacularly deluded beliefs to the death – probably of one of their clients. So, this is where it gets a bit more interesting. The ‘gang of six’ letter and their arguments against the ASA have fallen into my hands. Here is what they have written to homeopaths in order to get them to fight the ASA. Committees on Advertising Practice Ltd on homeopathy. The recent letter sent out to all UK homeopaths from the Committee of Advertising Practice stated, “The ASA considered a body of evidence which sought to demonstrate the efficacy of homeopathy in treating a range of medical conditions. On the basis of expert advice, the ASA concluded that the evidence was insufficient to support any efficacy claims”. Professor Robert Hahn is Head of Research at Södertälje Hospital, Södertälje, Sweden. Despite having no personal interests in homeopathy whatever, he was so distressed by the activities of homeopathy denialists that he examined the ‘research’ of Shang and Ernst for himself, and easily saw that only by omitting 98% of the evidence could anyone say that homeopathy is ineffective. 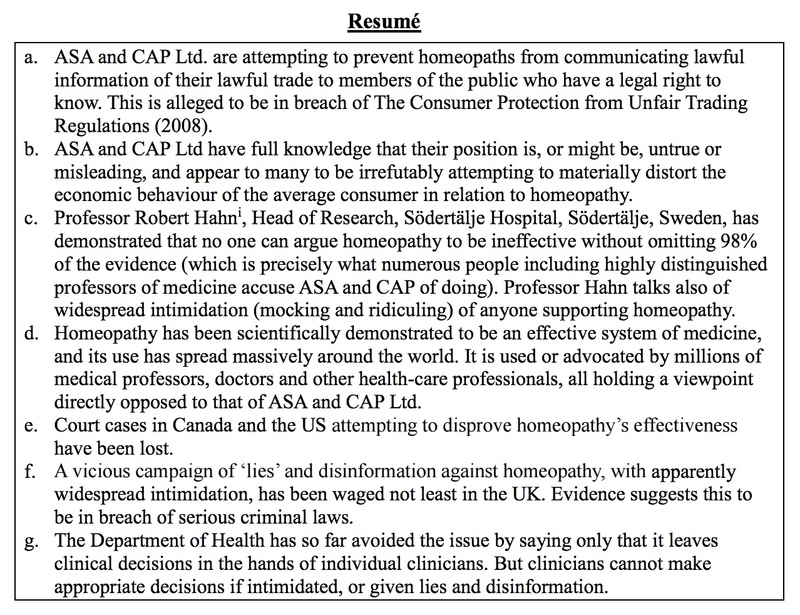 The Swiss HTA authors, Professor Matthiessen and Dr Gudrun Bornhöft, protested to ASA Ltd three years ago (when ASA was ‘considering the evidence for homeopathy’ – see attached), that ASA had airbrushed 99% of the research in the Swiss Health Technology Assessment out of existence, and grossly misrepresented the other 1%. The attached document is a comprehensive challenge to ASA’s position. We would greatly welcome the support of all colleagues as detailed below. 2) Your local Trading Standards office, which forward all complaints to a central office. Your local office can be found here: http://www.tradingstandards.uk/advice/index.cfm#postcodesearchform. “Would you please investigate allegations of illegal bias against homeopaths and homeopathy by the Advertising Standards Authority Ltd, in breach of Consumer Protection Regulations”. iv) Write your own message. The same message can be sent to all three addresses. Trading Standards plays a numbers game – every complaint counts! Other CAM practitioners have already asked both Trading Standards (TS) and the Competition and Markets Authority (CMA) to investigate alleged breaches of the Consumer Protection Act by ASA Ltd., and we too have already done likewise. Homeopathy denialists have been so thoroughly trounced in so many countries around the world that it may not be so hard to achieve here too, if enough people are willing to make it happen. As antimicrobial resistance steadily grows, this country needs homeopathy. Please join us – it won’t take you long. There is much here to dismantle (not least that it is not six homeopaths) and much, much more in their ‘attached document’ – which we shall come to shortly. Firstly, the hero of the day for the homeopaths is ‘Professor Robert Hahn, Head of Research at Södertälje Hospital’ whose credentials appear to be that he appears to know nothing about homeopathy. Hahn does know quite a lot though about getting “Clear Responses From the Spirit World.” He also knows nothing about systematic reviews where it is quite normal to get rid of the bulk of studies that do not comply with an acceptable quality standard. In the quackademic world of homeopathy, that is almost all of them. The other ‘academics’ that boost their claim are Professor Matthiessen and Dr Gudrun Bornhöft who authored the so-called Swiss HTA on homeopathy that came to positive conclusions about homeopathy. Of course, they fail to mention that Matthiessen and Bornhöft wrote this from a private University that specialised in occult and alternative medical research. The report is an embarrassment of poor methodology and was rejected by the Swiss government. The ‘challenge’ document is a masterclass in paranoia, silliness and delusion. The ‘Resumé’ of their document consists of seven points each of which is spectacularly wrong. A seeming army of online anti-homeopathy bloggers, all supporting each other with personal opinion and pseudo-science and using the S&T to justify themselves, and some openly admitting to being paid, e.g. ‘Gimpy’, who admits being a pharmaceutical researcher, and who encourages people to: ‘Kill, kill, kill, mutilate, smash, annihilate, obliterate or at least maim all the homeopaths’. (Later he says not to kill them, but apparently still wishes to mutilate, smash and maim them). Will Trading Standards (TS) and the CMA please take all necessary steps to identify this man and bring him to court? If true, this would be serious. But beautifully, they reference a website that is actually a spoof of Gimpy’s blog (now defunct) that was almost certainly written by an angry homeopath. It’s a homeopath’s fevered fantasy about what a homeopathy critic is actually like: an adolescent anorak wearing, narcissistic troll funded by Big Pharma and wanting to smash everything up. The real Gimpy differs from this caricature in a number of significant areas. So I’m lying in bed later that evening with an early hangover, and I start to think, like, after we Kill, kill, kill, mutilate, smash, annihilate, obliterate or at least maim all the homeopaths, where’s all the funding gonna come from. I got a cold sweat sudden like. You know I’m up at 6 every morning on the old Google alert and twitter, following every lead there is, blogging and sending nasty emails all day long. It’s a full time job, and I deserve every penny I get. But I realised suddenly, hey I got to leave some of these homeopaths around for bashing, cause I don’t fancy a round with the Chiropractors after the bloody nose that Singh got, and like no one’s gonna fund me against the church, and lets face it they make similar claims to the hom’s – think about it – healing and belief and prayer and energy and holy virgins and all that). Who’s going to fund that? I mean I don’t really fancy getting back to experimenting on all those mice in cages. Even worse, whose gonna read my blog!? Who’s going to even notice little me? Nightmare. I asked Gimpy if he knew who had written this to target him. Unfortunately, he did not. Please do read the other ‘posts’ on this site to get into the mindset of how homeopaths view thinking people. Anyway, first indications are that homeopaths are being told by those that they complain to to not be so silly. Of course. It does look like if homeopaths refuse to comply then they will be referred to the appropriate authorities and will be investigated and may well end up with criminal records. The Society of Homeopaths could be ensuring that deluded nonsense like the above is shut down and instead their members’ minds are focussed on ensuring their websites and advertising comply with the law. If a homeopath ends up prosecuted then the Society must share their part of the responsibility for that. I suspect though that the Society of Homeopaths want to hedge their bets. They want to appear professional and responsible to the Professional Standards Association but at the same time avoid a new schism within the quack world. After the internecine Quack Wars (which Gimpy documented so thoroughly) of a decade ago, the trade has begun to form a more unified approach to matters. The action of the ASA might well be driving a new wedge between those that aspire to be ‘professional’ and those that want to take a fundamentalist and uncompromising stand for their cult. The Nightingale Collaboration follow up with Freedom of Information requests and other details on the tricky choices teh Society of Homeopaths has to make over policing its quack membership. 8 Comments on Society of Homeopaths ‘Taking Legal Advice’ to Fight the ASA. Less good news for both skeptics and homeopaths is the risk that a homeopath is going to end up with a criminal case against them via Trading Standards (for all my mocking of their behaviour I think we could all do without that, although… it would be a bit schadenfreude-y). Then there’s the awful risk of someone coming to real harm by being misdirected on health advice. Trading Standards have *already* taken action on cases referred to them by the ASA (though not yet, as far as I’m aware, any to do with homeopathy) – the outcome of these can be read on their website here https://www.asa.org.uk/Rulings/Trading-Standards-referrals.aspx. There’s no feasible legal objection to ASA’s involvement in this that’s available to them, as far as I can see. Trading Stds’ interventions have resulted in people amending their websites, taking their websites down and / or ceasing trading and one marketer has been prosecuted. It seems that most people, when contacted by Trading Standards, manage to find the edit button for their website. I strongly agree with your point about the possibility of the ASA having been seen as a kind of critical friend to homeopaths and I’d naively hoped that skeptics might even have been able to do something similar too, a little further upstream. Sadly my utopian dream did not come true and I’m mostly reporting homeopaths to the ASA and even Trading Stds directly – I wonder if the Society of Homeopaths has any thoughts about the legal basis for skeptics complaining to the regulators! I still reply to misleading homeopathy tweets (probably unseen by the homeopath given that they’ve blocked all of us, but visible to everyone else of course). It doesn’t come as a surprise. The Professional Standards Authority did request that the Society of Homeopaths amend their Code of Ethics to start that non-compliance with the CAP Codes “will” be taken into account rather than just “may”. The SoH also warned that breaches of the CAP Codes and the legislation behind them might render a member’s insurance invalid – they would have fund legal advice/representation themselves if they found themselves in court. What is a surprise is that this did not happen before the PSA business. The Alliance of Registered Homeopaths declined to be overseen by the PSA although the reasons are not particularly clear (nothing Karin Mont says is). But post hoc flailing about is nothing new for UK homeopathy. The response to the Medicines Act 2012 is a prime example. UK lay homeopathy only continues because of a lenient interpretation of the law by the MHRA. There is always the danger that any attempts by the SoH et al to lobby, mount legal challenges, etc, will draw attention to this. But homeopaths tend not to have much of a grasp of risk. It’s worth looking at http://www.professionalstandards.org.uk/docs/default-source/accredited-registers/panel-decisions/annual-review-panel-decision-soh-2016.pdf which is the review of the Society of Homeopaths accreditation with the Professional Standards Authority. Why homeopaths get so agitated by the ASA and the CAP Codes is puzzling. The Blue Guide is far more problematic for them. I wonder if the ASA’s new found backbone with respect to Homeopathy is anything to do with the FTC getting the hump with things Homeopathic? Weren’t both Paul Burnett and Ursula Kraus-Harper involved with H:MC21? Interestingly, the SoH seem to have taken down the announcement of seeking legal advice. I guess they got no joy? And maybe realise it looked foolish? They really ought to ask sceptics before doing things like this and making fools of themselves. The capacity of the Society of Homeopaths for self-delusion would appear infinite. Their latest wheeze is to “call a meeting” http://www.homeopathy-soh.org/330-society-calls-meeting-to-discuss-countering-asa with “Freedon4 Health”. Freedom4Health is an extremely dubious organisation. Their website is registered to one Martin Weightman who is a Scientologist. It is alledged that Scientolgists have used the UK based College of Naturopathic Medicine as entryism into CAM. Some alliances demonstrate desperation or lack of due diligence. It looks like despair and what the shadowy 4Homeopathy group make of it is unknown, assuming they were even consulted. It’s a massive PR own goal in terms of associating with a “toxic brand”.